There are 25 pictures and a sentence under each sentence with a verb in brackets. 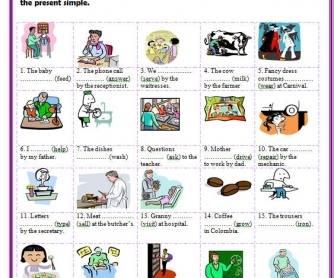 The students have to fill in the gaps with the present simple in the passive voice. The heading can be changed to practise the passive voice with different tenses. The key to the exercise is included.